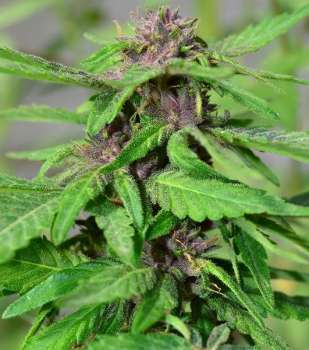 Here you can find a strain description about Purple Maze Kush and also some user-based reviews and infos directly from the SeedFinder (if available). You can also find the offers and auctions here if Purple Maze Kush cannabis seeds are on stock at MyCannapot right now. Purple Maze Kush - A pure Indica strain from Rich Kehrer, bringing together two Afghanistan inbreed Kush strains. PTP and MIS. Post Traumatic Purple (PTP) is a special Purple Strain that's been inbred and bred for it's purple color and large yields as well to help people with PTSD. The Mazar-i-Sharif (MIS) the giant indica strain is very large and potentially very high yielding, plants can grow to over 12 feet. Two classic Afghan Strains brought together that will surely please anyone wanting a pure Indica with a very good percentage of purple plants. Purple Maze Kush is great for pain relief, insomnia, gastrointestinal issues, AIDS, stress, and ADD. Also good for PTSD. Flowering time: 60-65 days. Buy Purple Maze Kush now at MyCannapot! There are no actual running auctions for Purple Maze Kush right now.